Sherally Munshi earned her JD from Harvard Law School and a PhD in Literature from Columbia University. Before coming to Georgetown, she was a Perkins / LAPA Fellow at Princeton University. Her areas of scholarly interests include property law, immigration law, and critical legal theory. Her writing has appeared in the Yale Journal of Law &Humanities, the American Journal of Comparative Law, and Harper’s. Prior to teaching, she worked as a legal associate at Willkie Farr &Gallagher, LLP, in New York. Sherally Munshi, White Slavery and the Crisis of Will in the Age of Contract, 30 Yale J.L. & Feminism 327-369 (2018). Sherally Munshi, Immigration and the Imperial, in The Oxford Handbook on Law and the Humanities (Simon Stern, Bernadette Meyler & Maksymilian Del Mar eds., Oxford University Press forthcoming). Sherally Munshi, Before the Muslim Ban, in Deepening Divides: How Borders and Social Boundaries Delineate Our World (Didier Fassin ed., forthcoming). Sherally Munshi, "You Will See My Family Became So American": Race, Citizenship, and the Visual Archive, in Law and the Visual: Representations, Technologies, and Critique 161-188 (Desmond Manderson ed., Toronto, Can. : University of Toronto Press 2018). Associate Professor Sherally Munshi discussed her forthcoming chapter on immigration at The Center on Law, Equality and Race, Univ. of Calif. Irvine School of Law, January 9, 2019. Professors Hope Babcock, Gregg Bloche, John Copacino, Deborah Epstein, Daniel Ernst, James Feinerman, Anne Fleming, Sheila Foster, Maria Glover, Vida Johnson, Gregory Klass, David Luban, Allegra McLeod, Naomi Mezey, Sherally Munshi, Alicia Plerhoples, Jarrod Reich, Tanina Rostain, Rima Sirota, Abbe Smith, and Kristen Tiscione are among 1700 signatories on a letter, published by The New York Times, delivered to the United States Senate, October 4, 2018, presenting concerns of Judge Brett Kavanaugh's qualifications to serve on the U.S. Supreme Court. "A Man Says His DNA Test Proves He’s Black, and He’s Suing," coverage by The Atlantic, September 19, 2018, quoting Professors Sheryll Cashin and Sherally Munshi. 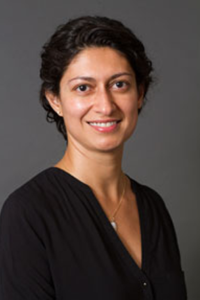 "Munshi on Race, Citizenship, and the Visual Archive @GeorgetownLaw," coverage by Law & Humanities Blog, April 12, 2018, featuring Associate Professor Sherally Munshi.